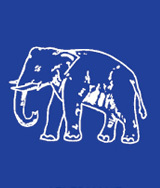 Lucknow, Apr 16 : Bahujan Samaj Party (BSP) candidates have won the Colonelganj (Gonda) and Bilgram (Hardoi) Assembly seats by comfortable margins. Brij Singh defeated her nearest rival by a margin of 9,737 votes and Rajni Tiwari won Bilgram seat by 30,168 votes, official sources said in Lucknow. By-elections to three Assembly seats, Bilgram (Hardoi), Colonelganj (Gonda) and Moradnagar (Ghaziabad) and two Lok Sabha seats Azamgarh and Khalilabad were held on 12th April. BSP candidate Rajpal Tyagi is leading in Moradnagar, sources said. In Khalilabad, BSP candidate Bhismshankar Tiwari is leading by a margin of over 5,000 votes while in Azamgarh.